My first encounter with the Cinque Terre was magical. The more I researched, words like “magical”, along with “idyllic” and “alluring”, were constantly used to describe this region, and I knew I had to go there. 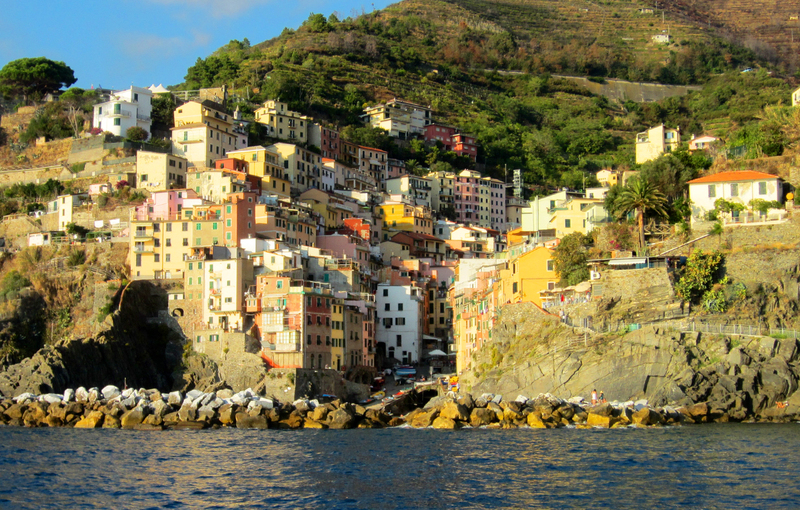 In preparation for a 3-week trip to Italy, I booked a Cinque Terre Trek daytrip from Florence. The word “trek” was intriguing to me for two reasons – 1) my usually active self would be craving some extra physical activity a week into my vacation and 2) a little extra exertion was a brilliant compliment to my daily gelato habit. Besides, this so-called less pretentious, rugged part of the Italian Rivera sounded like a dreamy escape from the tourist-filled museums and monuments of larger cities, and a chance to visit one of Italy’s outdoor galleries filled with picturesque landscapes. And picturesque it was, from breathtaking ocean views to vineyard-dotted hills and colorful cliff-side villages. The five towns for which the region gets its name – Riomaggiore, Manarola, Corniglia, Vernazza and Monterosso al Mare – all seem to have their own charm, yet offer the same heavenly retreat from the modern world. While I can write prose about the Cinque Terre all day, some of the most delightful treats were the region’s culinary highlights including mouth-watering pesto, fresh seafood, extra large sweet lemons used to make a delicious limoncino liquor and a local variety of white wine (contrary to the traditional Tuscan red). Even though the same grape and process is used to make this wine, its taste varies from town to town due to variations in the soil. Try a wine flight at a bar and see for yourself. There is also a little gelateria named Il Porticciolo right along the water in Vernazza that is pretty amazing too. And while a “trek” through the Cinque Terre might not be for everyone, there is a train line and boat service that link the villages together. Even though I’m a city girl at heart, the Cinque Terre stole a piece of it, and I only wish I could have stayed longer. I was saddened to learn about the flooding that occurred in October 2011 – just 3 short weeks after my visit. From what I’m reading on sites like Save Vernazza and Rebuild Monterosso, the most heavily affected areas are rebounding nicely and awaiting tourists with open arms. It’s especially important for travelers to visit this truly magical place to help the revitalization process so that Cinque Terre can flourish for years to come. You can find everything you need to know about visiting the Cinque Terre here. How do i organize trip? I will be in florence week after easter and i want to find prices etc..? The article was in Italian. I would like to go to clinque terre. Hi Bernadette, how exciting! I booked the Cinque Terre daytrip from Florence in advance through Viator, where I was able to pay in US dollars, onsale for $117 right now (http://www.viator.com/tours/Florence/Cinque-Terre-Hiking-Day-Trip-from-Florence/d519-5070CINQUE). You can also book directly with the tour company Walk Abour Florence for 90 euros (http://www.walkaboutflorence.com/tours/cinque-terre-trek). You meet the guides at the train station in Florence and they take care of the rest, from getting you to the Cinque Terre by bus, as well as lunch and the train tickets/boat ride passes while your there. Let me know if this helps and have a great trip!